The US Sentencing Commission (USSC) voted unanimously Thursday to reduce sentences for most federal drug trafficking defendants. The move comes as the federal prison population continues to increase, driven in large part by drug offenders, even as prison populations in the states are on the decline. In the past decade, in many states, the harsh Reagan-era war on drugs approach to drug use and trafficking has given way to smarter approaches geared toward diversion and treatment of drug offenders, but when it comes to reforms, the federal system has lagged behind. 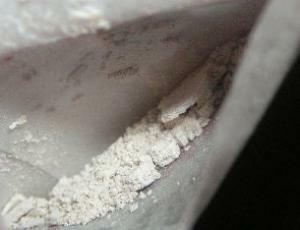 Passage of the Fair Sentencing Act in 2010, which reduced -- but did not eliminate -- the sentencing disparity between crack and powder cocaine offenders, was a step in the right direction. And passage of the Smarter Sentencing Act (House Resolution 3382/Senate Bill 1410), which has already been approved by the Senate Judiciary Committee and is pending in the House, would be another. 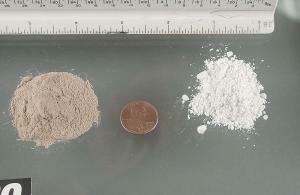 That bill, which is supported by the administration, would direct federal judges to not sentence some drug offenders to mandatory minimum sentences, reduce mandatory minimum sentences for other drug offenders, and apply the more lenient crack cocaine sentencing scheme under the Fair Sentencing Act to crack offenders sentenced before it was passed. It also calls on USSC to amend its sentencing guidelines and policy statements for drug offenders to minimize federal prison overcrowding and reduce and prevent racial disparities in sentencing. But in the meantime, USSC has now, with the administration's support, acted on its own. The commission voted to reduce sentences by amending the federal sentencing guidelines to lower the base offense guidelines in the Drug Quantity Table across various drug types. The quantity tables place specific quantities of each controlled substance in corresponding sentencing "levels," which in turn contain a range of recommended sentences based on a defendant's criminal history. For instance, under the current guidelines, a drug offense involving at least 10 grams of methamphetamine, but not more than 20 grams, is in sentencing level 18, where the recommended sentence range for an offender with one or no criminal history points is 27-33 months. Under the new guidelines, the same quantity of methamphetamine will be a level 16 offense, which means the recommended sentence range for a first-time offense will be 21-27 months. The example above is on the low end for federal drug sentences. USSC said the changes would affect about 70% of federal drug trafficking defendants and would result in an average sentence decrease of 11 months. That means the average federal drug trafficking sentence will drop from just over five years to just over four years. This commission has concentrated this year of addressing federal prison costs and capacity. It estimates that the changes it approved Thursday will reduce the federal prison population by more than 6,500 over the next five years and have an even greater impact over the long run. "This modest reduction in drug penalties is an important step toward reducing the problem of prison overcrowding at the federal level in a proportionate and fair manner," said Judge Patti B. Saris, chair of the commission. "Reducing the federal prison population has become urgent, with that population almost three times where it was in 1991." There are currently more than 216,000 federal prisoners, according to the federal Bureau of Prisons. Slightly more than half (50.1%) are doing time for drug offenses. Attorney General Holder welcomed the move, calling it "a milestone" in reshaping the way the system deals with drug offenders. He called for Congress to take the next steps. "It is now time for Congress to pick up the baton and advance legislation that would take further steps to reduce our overburdened prison system," Holder said. "Proposals like the bipartisan Smarter Sentencing Act would enhance the fairness of our criminal justice system while empowering law enforcement to focus limited resources on the most serious threats to public safety. I look forward to continuing to work with lawmakers on both sides of the aisle on these types of common-sense reforms." Civil liberties and sentencing reform advocates also pronounced themselves pleased at a step in the right direction. "We commend the Sentencing Commission for taking this important step toward reforming federal drug sentences," said Julie Stewart, president of Families Against Mandatory Minimums. "This change will save taxpayers money, help to rein in federal prison spending, and bolster the spirits of tens of thousands of federal defendants who are facing impractical and disproportionately long sentences." "Our country is slowly but steadily reversing the damage done by the failed, racially biased war on drugs," said Jesselyn McCurdy, senior legislative counsel for the American Civil Liberties Union. "The actions taken by the Sentencing Commission today are another positive move toward reducing unnecessarily long sentences that have led to bloated, overcrowded prisons. Our criminal justice system is smarter, fairer, and more humane than it was a year ago, and we need to make sure momentum continues in the right direction." "This is a terrific, if modest, first step toward genuine sentencing reform for drug offenders," said Mary Price, legal counsel for FAMM and an expert on the Sentencing Commission. "The next step is for Congress to pick up where the Commission left off by passing the Smarter Sentencing Act." But first, Congress must allow the USSC recommendations to become law. The drug quantity table amendment, along with others approved by the commission, will go to Congress in May. 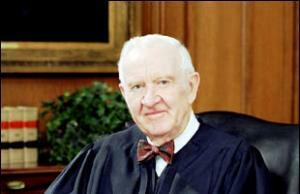 Barring legislative objections, the new guidelines will become law on November 1, 2014. Unless USSC votes to make the new guidelines retroactive, they will impact only those defendants sentenced after November 1. 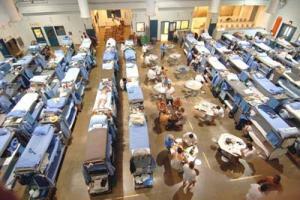 The commission voted Thursday to conduct a prison impact study before voting on retroactivity. DC Legalization Initiative Signature Gathering to Get Underway. Signature gathering for the District of Columbia marijuana legalization initiative will begin April 23, the DC Cannabis Campaign said this week. The campaign needs 25,000 valid signatures by July 7 to qualify for the November ballot. An Alaska legalization initiative has already qualified for the ballot there; DC and Oregon now look like the best chances for more legalization initiatives qualifying for the ballot this year. Louisiana Poll Has Support for Legalization at 44%. The 2014 Louisiana Survey has support for marijuana legalization at 44%, with 54% opposed. Support for medical marijuana was much higher, at 79%. The survey is conducted annually by the Public Policy Research Lab, or PPRL, and sponsored by the Reilly Center for Media & Public Affairs in the LSU Manship School of Mass Communication. New Hampshire Poll Has Support for Legalization at 55%. There is solid majority support for legalization in the Granite State. A new WMUR Granite State Poll found found 55% of adults in the state support legalizing the possession of small amounts of marijuana for personal recreational use. Only 38% oppose legalization. 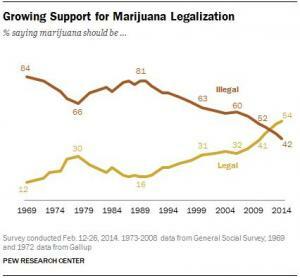 Support for legalization is up seven points in the last 14 months. Rhode Island Poll Has Support for Legalization at 48%. More Rhode Islanders support legalization than oppose, but it doesn't quite have majority support just yet, according to a new Brown University poll. The survey has 47.6% supporting legalization, with 39.3% opposed. Rhode Island Report Says State Could Generate Tens of Millions in Legal Marijuana Tax Revenue. Maybe this will get those poll numbers up. A new report from Open Doors, a local criminal justice reform group, estimates that if the state were to pass a tax and regulate legalization bill, it could gain between $21.5 and $82 million in annual tax revenues. A legal marijuana industry would also create hundreds of new jobs in the state, the report found. Minnesota Medical Marijuana Bill Gets Senate Committee Hearing, No Action Taken. The Senate Committee on Health, Human Services and Housing held a hearing Thursday on a bill that would allow qualified patients to possess up to 2 ½ ounces of marijuana and buy it from a dispensary. But the committee took no action on Senate File 1641, tabling it until legislators return from the Easter/Passover break. Tennessee Senate Passes CBD Medical Marijuana Study Bill. The Senate Wednesday approved a CBD medical marijuana study bill. The measure would authorize a limited, four-year study of the effectiveness of cannabis oil on certain types of intractable seizures. A vote is pending in the House. Rev. Al Sharpton's National Action Network Convention To Address Drug War. The largest civil rights convention of the year has the war on drugs on its agenda. A panel called "Up in Smoke: Banning of Menthol, Legalization of Marijuana & Criminalization of African Americans" will address racial justice and the war on drugs Saturday. The convention started Wednesday and continues through Monday. Click on the link for all the details. Rhode Island Bill to Ban Salvia Divinorum, Jimson Weed Advances. A bill that would ban the hallucinogenic drugs salvia divinorum and jimson weed has passed the House. House Bill 7191, sponsored by Rep. Arthur Corvese (D-Providence) seeks to target unregulated substances by prohibiting them. It now goes to the state Senate. 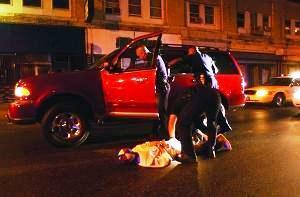 Maine Drug War Enhancement Bill Passes House. 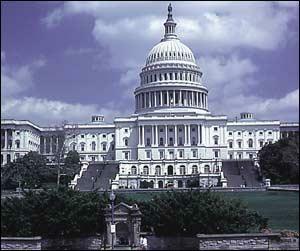 The House approved an amended version of Gov. Paul LePage's (R) bill to respond to drug problems in the state by increasing drug law enforcement. Legislative Document 1811 was amended by the Criminal Justice and Public Safety Committee to add funding for drug treatment and reduce the number of new drug agents, prosecutors and judges to be hired, but is still opposed by groups like the ACLU of Maine. The bill now moves to the Senate. NYPD's Most Sued Narc Is Off the Streets. Detective Peter Valentin of Bronx Narcotics is off the streets. Valentin, who has been sued at least 28 times since 2006, and three of his colleagues have been placed on modified duty after an Internal Affair Bureau investigation for taking part in drug raids "of dubious merit." The city has already paid out at least $884,000 to settle lawsuits sparked by Valentin's misbehavior, including a case where a nursing mother spent a week on Rikers Island after Valentin arrested her for drug possession even though she truthfully stated that the powder he found in her home was powdered eggshells, not drugs. Dozens of cases in which Valentin and his crew were involved are now in jeopardy. Missouri Could End Lifetime Food Stamp Ban for Drug Offenders. Missouri is one of only 10 states that have not opted out of a lifetime federal ban on food stamps for people with drug felonies, but that could change this year. A bill to end the ban, Senate Bill 680, passed the Senate last week and appears to have bipartisan support in the House. Bill sponsor Sen. Kiki Curls (D-Kansas City) said she accepted amendments imposing some restrictions -- retaining the ban for three-time drug felons, requiring a one-year wait for eligibility -- as necessary to move the bill forward. 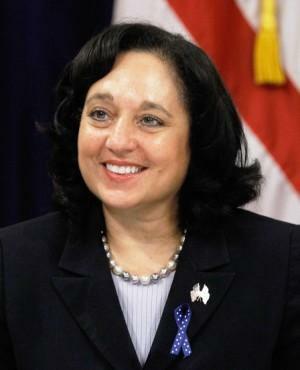 US Sentencing Commission Votes to Reduce Guidelines for Drug Sentences. 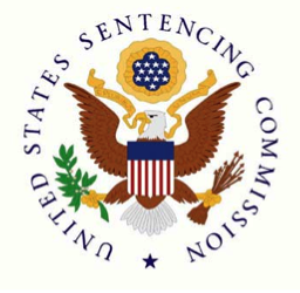 The US Sentencing Commission voted Thursday to reduce sentencing guidelines for certain people convicted of nonviolent drug offenses. The amendment would reduce the average sentence for drug traffickers by 11 months, by lowering the drug sentencing guidelines two levels. 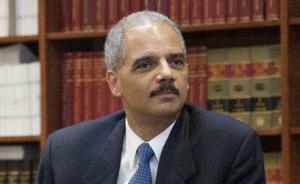 Attorney General Eric Holder endorsed the change during testimony before the commission last month. The amendment will go to Congress for its approval on May 1. Congress has six months to introduce and pass legislation to stop the proposed changes before they become law on November 1. 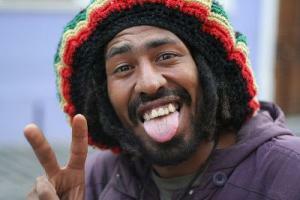 German Criminal Law Professors Call for Marijuana Legalization. Over 120 German professors of criminal law are supporting an initiative to legalize cannabis. They have called on the Bundestag to discuss the issue. The professors are part of the "Schildow Circle," founded two years ago by Lorenz Bollinger, professor emeritus of criminal law at Bremen University. Prime Minister Angela Merkel's coalition is skeptical. Denmark Opens More Safe Injection Sites. Denmark's first safe injection site for hard drug users opened in October 2012. Now there are three in Copenhagen and at least one in each of Denmark's main cities. They have never had a fatal drug overdose on site. Mexico Intra-Cartel Clashes Leave 28 Dead. At least 28 people have been killed in clashes between rival factions of the Gulf Cartel in northeastern Tamaulipas state since last weekend. Authorities described the fighting as "clashes or score-settling between criminal groups." The fighting comes after the February arrest of local Gulf Cartel leader Javier Garza, "El comandante 14." Drug Bill in Australia's Capital Territory Will Ban New Drugs, Adjust Quantities That Trigger Dealing Charges. Under legislation proposed yesterday, Australia's Capital Territory (greater Canberra) will increase the quantity of drugs needed to trigger trafficking charges in a bid to separate out users from dealers. The amount of Ecstasy needed to trigger such charges would double, while the amount of cocaine would triple. The bill would also deal with new synthetic drugs by banning them, instead of regulating them, as neighboring New Zealand has done.